Avocados have been the darling of the food world for quite some time now—so you'd think that we might have already exhausted the ways in which to enjoy this amazing fruit. But a Dutch food blogger is taking our avocado to the next level with a beautiful technique—shaving avocado into elegant ribbons. She has declined to give too many details to the media at large about her methods, but we decided to give these ribbons a try with our own kitchen know-how. In the end, we not only found the avocado to be texturally whimsical and tasty, but also quite easy to replicate. 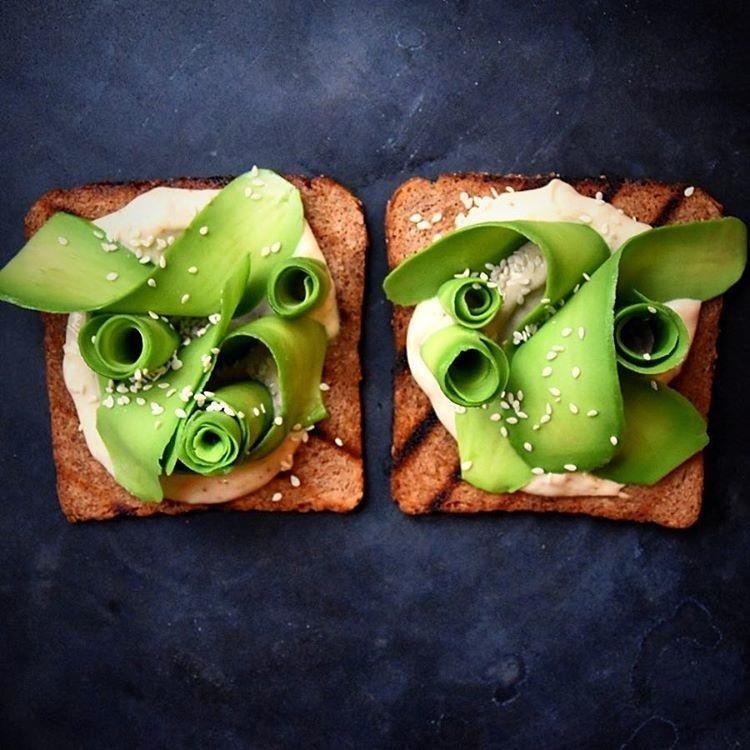 Collette Dike is the Instagram-famous founder of FoodDeco and the Amsterdam food blogger championing these astounding avocado ribbons. 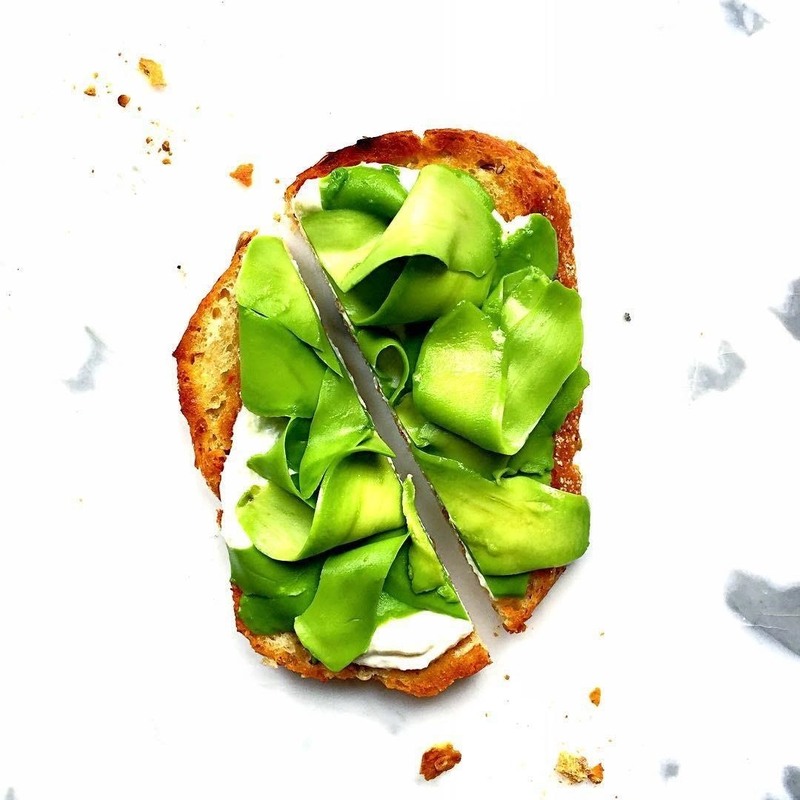 Daily Mail UK states that Collette is writing a book of avocado recipes and, though she keeps her method of getting the slices thin a secret, she is open about how to achieve the ribbons: a simple vegetable peeler. Using a slightly unripe avocado is the trick, Collette says. But we found that a somewhat-ripe avocado will work, too, though the strands are a bit more delicate to handle. The examples we photographed below find themselves between these two—not too hard, but not too soft. 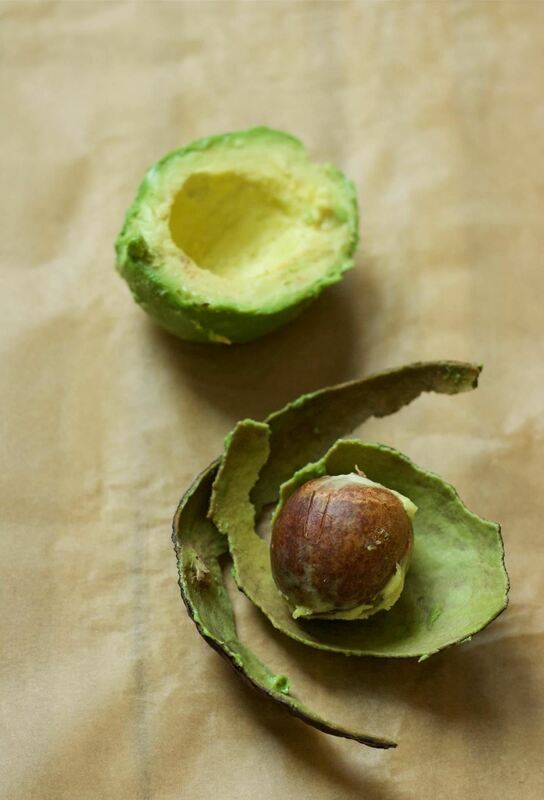 Cut your avocado in half and remove the pit with a knife. Then, make a small incision into the skin and peel the skin away from the meat. This should leave you with a peeled avocado half. 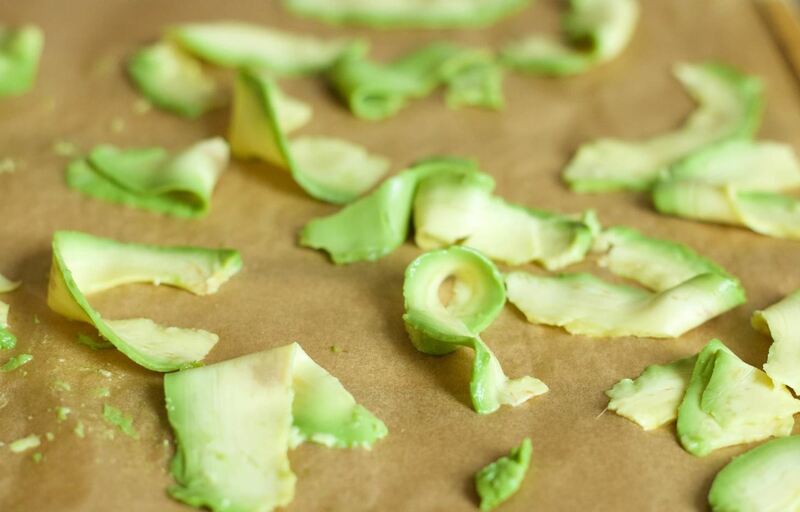 After that, cut each half of the avocado in half again to make it easier to handle for the next step. 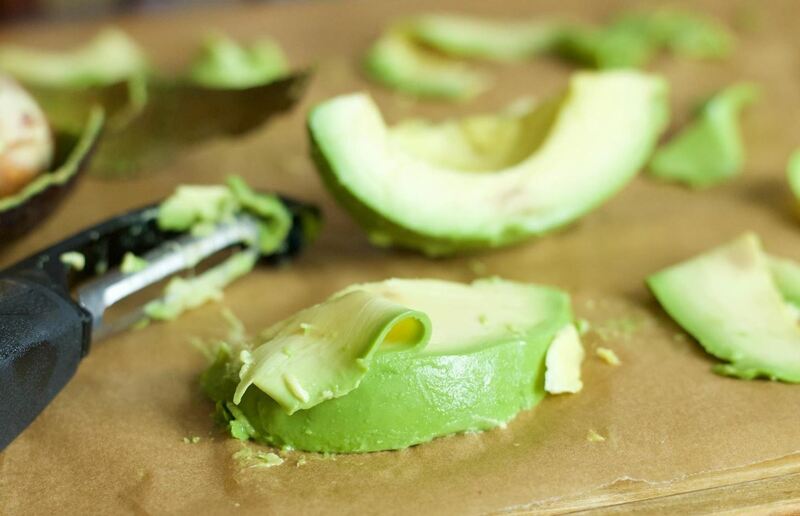 Place the blade of your peeler perpendicular to the length of your avocado; In other words, make sure that the part of the blade that will be peeling the avocado peels is along the length of the avocado to make longer ribbons. 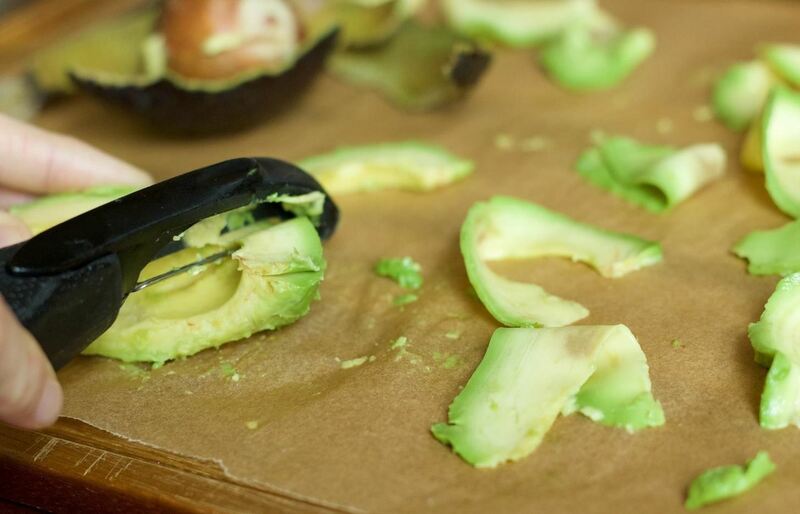 The peeler should be at the end of the avocado that is furthest from you. 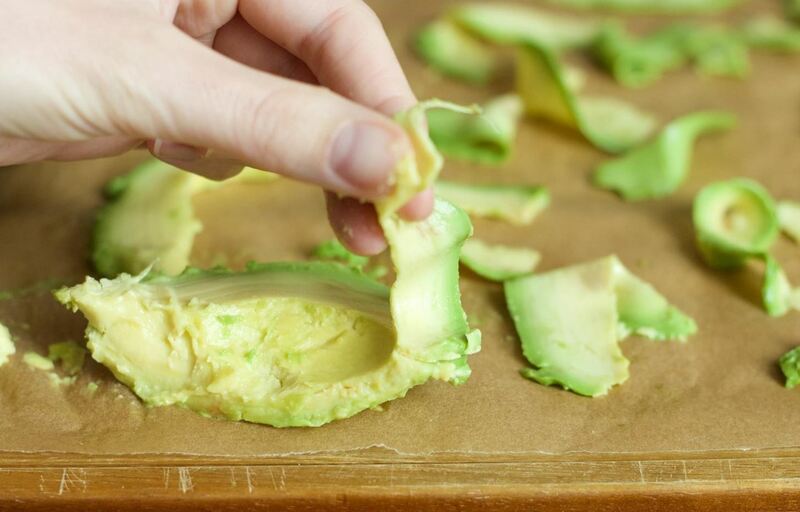 Then, gently skim your peeler along the edge of the avocado, pulling the blade toward you. The ribbon will appear as you pull. Carefully remove the ribbon from your avocado, then continue peeling your avocado until you have the amount of ribbons you need. The key is to not get discouraged—especially if you're working with an avocado that's a little more ripe (and therefore a bit mushier). Practice makes perfect: eventually you'll end up with gorgeous, Instagram-worthy ribbons. Step 3: Garnish Your Food & Enjoy! Once your ribbons are complete, you can use them on toast, bagels, pizza, or even baked potatoes. 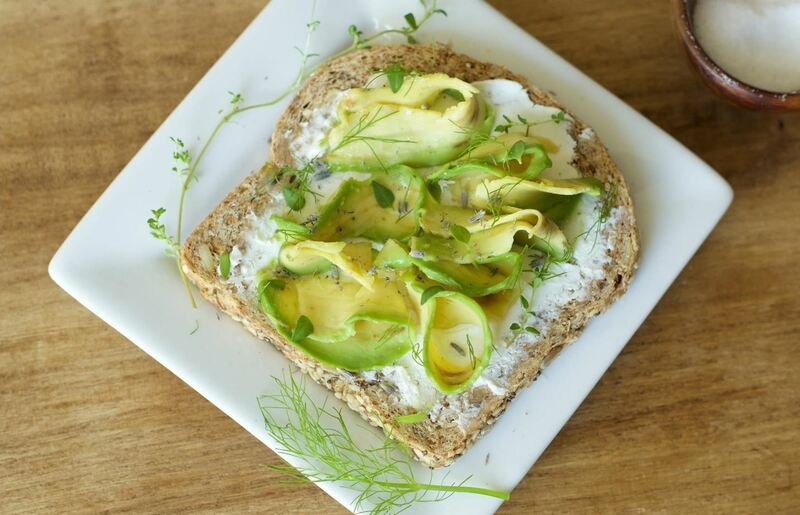 We placed our ribbons atop toast spread with goat cheese and dressed them up with black pepper, sea salt, lavender, fresh thyme, and fennel. As you can see, the finished product is a feast for the eyes... and for the stomach. But What About Less Ripe Avocados? These are even easier to work with than the just-about-ripe avocados that we used above. You'll use the same technique as we demonstrated, but you'll find that these ribbons have chew and bite to them—perfect as a noodle substitute or to add a bit of crisp to salads. 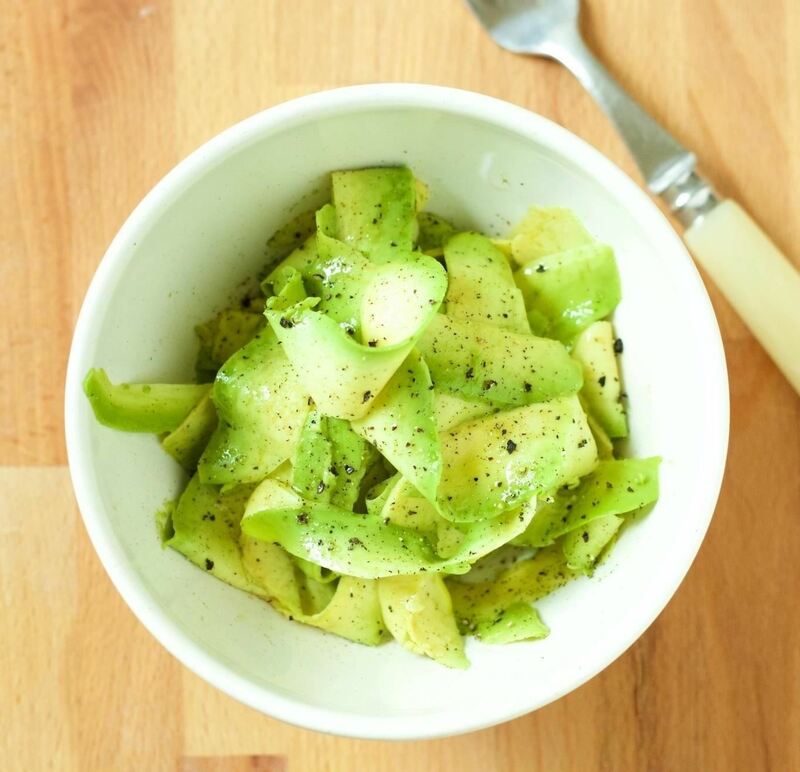 When we gave these harder avocado ribbons a try, we loved how they stood up as a noodle substitute with a bit of vinaigrette, black pepper, and sea salt. Though it may take a bit of practice to perfect this shaved avocado ribbon as Collette has, we're certain we'll be making this pretty treat again soon. 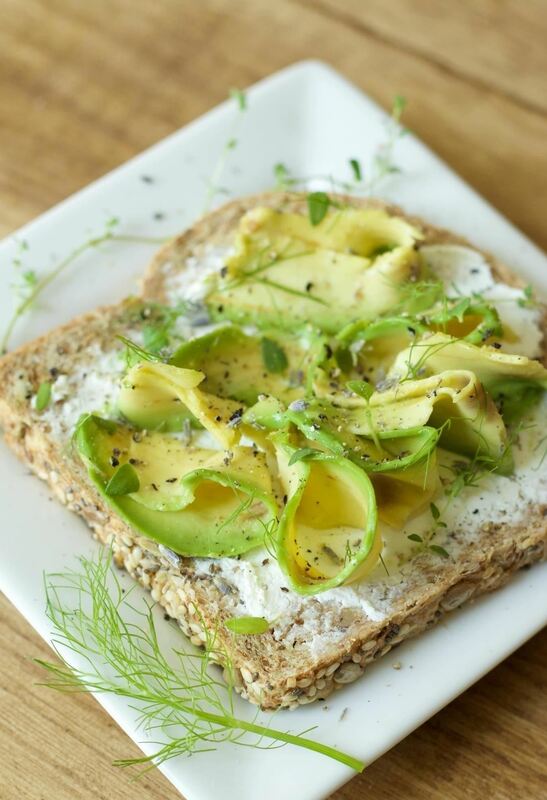 Not only is it an easy way to dress up everyday food, but it's also bound to be a crowd-pleaser... because no one says no to avocado! Have you tried this food trend yet? Let us know in the comments below.